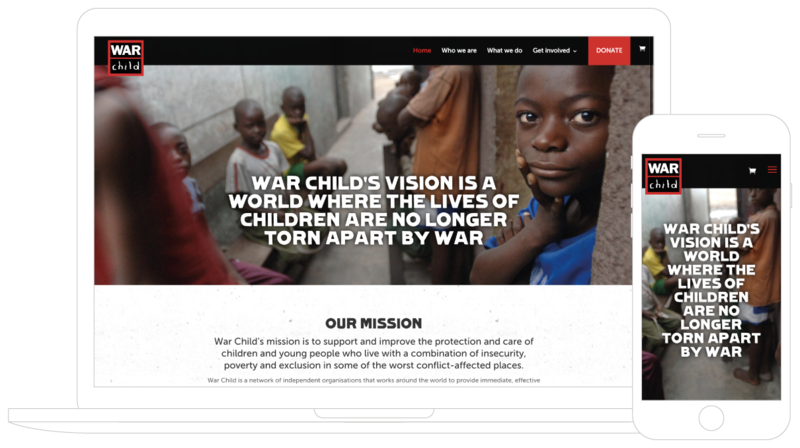 War Child Australia approached Plutonium Creative to assist with the design and build of a website which would allow them to promote their fundraising events, build corporate partnerships and accept donations and regular contributions without the use of third-party donations services. War Child is a global organisation with established brand guidelines. The new website was built within these guidelines using supplied visual assets from the organisation’s internation aid programs. Further to the website an electronic direct mail template was designed and built for the upcoming Rock-A-Tee campaign and branded email signtures were designed and implemented for each of the committee members.